Sunk costs. Like the Titanic, except without any loot. 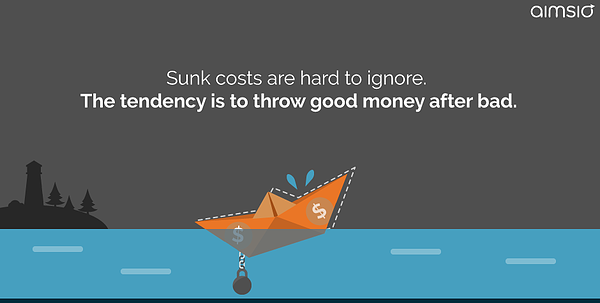 Costs that have either already been incurred or cannot be changed are sunk costs. Rent, fuel, gym memberships - the money spent on these expenses can’t be recouped, no matter how you proceed. If a project or process isn’t meeting expectations, corporate and financial best practice is to disregard those sunk costs going forward. Human nature makes it hard to ignore sunk costs. The tendency is to throw good money after the bad in an effort to salvage the initial expenditure. This strong reluctance to walk away from a bad investment shows up in all kinds of human behavior. Have you ever finished a bad meal just to get your money’s worth? Or sat through a horrible movie so that you didn’t “waste” the ticket? Psychologists and economists have found that when the costs begin to outweigh the benefits, the extra costs incurred are held in a separate “mental account”. Keeping extra time, inconvenience and money out of the equation makes it easier to rationalize spending more on a failing venture. Remember the sound barrier breaking Concorde? Sunk cost bias is also known as The Concorde Fallacy for good reason. The astronomical costs of creating the supersonic jet made it hard for operators to pull the plug, so the Concorde operated in the red for years. When it comes to software, companies are more likely to add or adapt to the ecosystem to make it fit the flawed product, rather than scrap the legacy system and search for a solution that fits their needs.  Part of this tendency is due to the life stage that software technology is in — especially field management software. Early product offerings were complex, in-house systems with low adaptability and integration capabilities. For firms that took the plunge, the investment was substantial. When agile cloud-based innovations sparked an industry shakeout, the sunk cost bias prevented some firms from moving to SAAS applications. New companies have a clear advantage however: if there are no sunk costs, firms always invest to their optimal long-run level from the get-go. Is sunk cost bias that bad? It depends. The problem with sunk cost bias isn’t only about how much good money is thrown after bad. 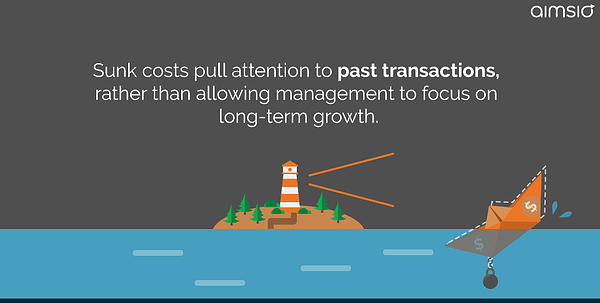 Sunk costs pull attention to past transactions, rather than allowing management to focus on long-term growth. When a company is unnecessarily concerned with salvaging an under-performing system, they can lose sight of the overarching goals of automation and digitization. Software should facilitate expansion, efficiency, and agility — if it’s not able to meet this criteria, how is it part of your company’s growth strategy? 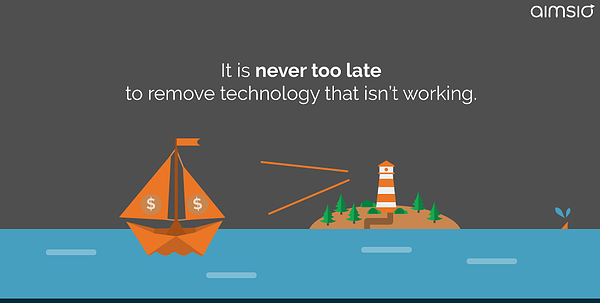 How do you know it’s time to abandon legacy tech? Does the system slow down workflows or require maintenance that results in delays? Older technology assets that aren’t cloud-based slow down and stop working as expected — it’s inevitable. 2. Is the cost of maintenance growing? 3. Is system downtime and availability impacting operations? Crashes increase as on-premise technology ages, reducing the overall benefits of the system and creating user issues. There are also opportunity costs associated with hanging onto under-performing tech, and, unlike sunk costs, opportunity costs are factored into cost-benefit analysis. 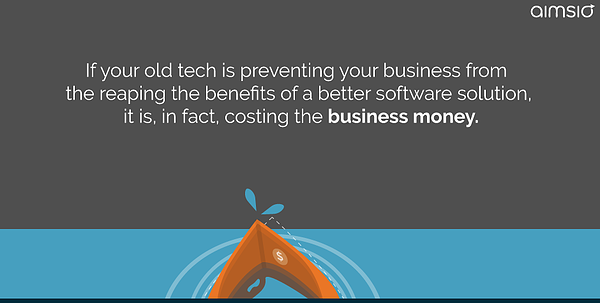 If your old tech is preventing your business from the reaping the benefits of a better software solution, it is, in fact, costing the business money. Sunk cost bias makes objectivity challenging. Try to analyze the cost, capabilities and performance of your system from the position of an outsider. Think on the margin in terms of competitive advantage, long-term goals, future costs and benefits while considering opportunity costs and disregarding sunk costs. The nature of cloud based SAAS applications make them inherently agile and less vulnerable to the threat of obsoletion as on-premise software. The initial cost of SAAS apps tends to be lower than on-premise systems and monthly subscription fees cover maintenance and support. Choosing the right SAAS vendor is important. How many other software systems will seamlessly integrate with your field management software? Agile SAAS programs work well with multiple ERP and accounting programs, further increasing administrative productivity. A SAAS company should have eyes on what’s coming for the tech industry. Anticipating the next shift-change will help companies make gains in an industry shakeout, instead of being left behind. The more aspects of your operations that can be covered by one system, the better. This way, updates and revisions aren’t as disruptive. If your company is anticipating growth, look for a provider that offers more solutions than you need right now to make sure you have room to expand. Everyday at Aimsio we help companies with field operations transition to new management software that is both configured to their needs and capable of growth. If you are wondering how a SAAS platform like ours can help avoid future sunk cost dilemmas, click the link below.